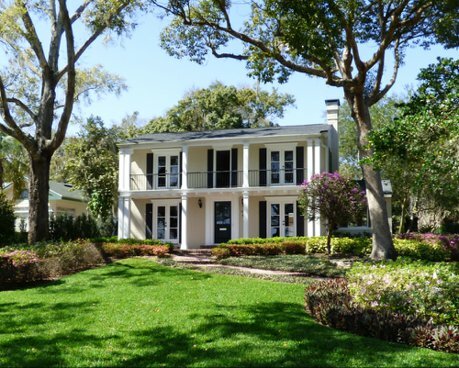 Winter Park is a very upscale city located just three miles northeast of downtown Orlando. Known for its beautiful chain of lakes, brick streets with massive oaks, high-end shopping, and old world charm, Winter Park is considered by many to be the finest urban village in the state of Florida. 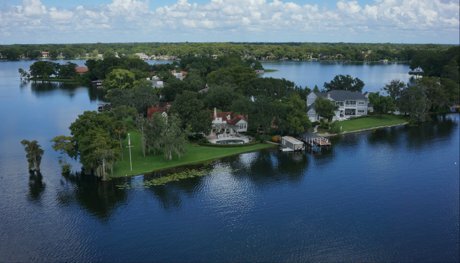 Once a 19th century resort destination, Winter Park is now home to Central Florida's highest priced real estate. Residents and visitors enjoy art galleries and museums, including the Charles Hosmer Morse Museum of American Art, which houses the largest collection of Tiffany glass in the world. 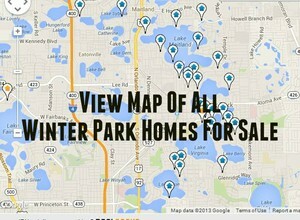 Click the blue button to view all Winter Park homes for sale. Rollins College, a highly-rated private liberal arts school, sits in the middle of Winter Park on the shores of Lake Virginia. The Winter Park chain of lakes are connected by small navigable canals, giving the community an old world Venetian charm. Winter Park's Park Avenue shopping and dining district is a popular area destination and is Central Florida's version of Rodeo Drive. In March, Park Ave. and Central Park in downtown Winter Park host the annual, Winter Park Sidewalk Art Festival, one of the largest art festivals in the southeast. With more than 70 parks, Winter Park is a nature lover's paradise. 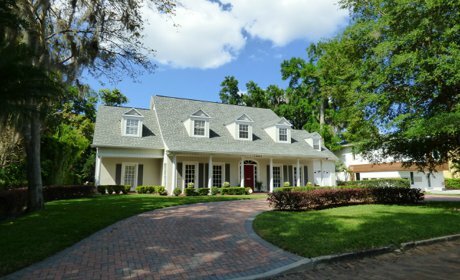 Homes for sale in Winter Park range from $250,000 cottages to multi-million dollar lakefront estates.